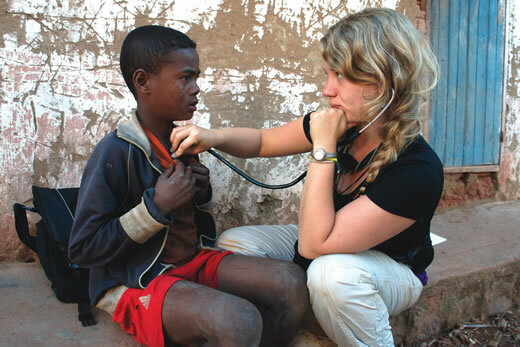 Last summer, Emory nursing student Emily Headrick, since graduated, was part of an infectious disease team from Emory that gathered data on human and animal health in Madagascar. The data will be used to implement a system of health care services through a new nonprofit agency called PIVOT. Madagascar is a biodiversity hotspot. Most of its wildlife is found nowhere else on Earth, but its natural habitats are being decimated by slash-and-burn agriculture.